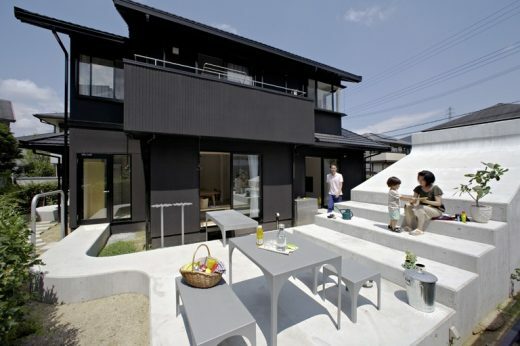 The site of ReForm of Garden is situated at a residential area in Ikoma-city, Nara. The climate here is a little colder in winter compared to the inner-city of Osaka. 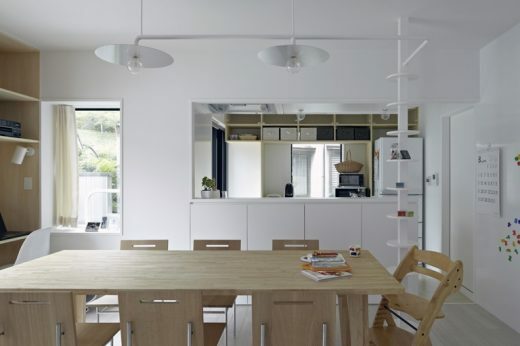 But it shares a border with Osaka and the residents can commute in only 30 minutes, so it functions as a bedroom suburb of both Osaka and Nara. 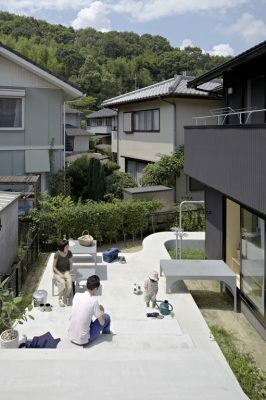 This area is a typical suburban residential area of Japan and designed to satisfy the orthodox practices of city planning. The inner road and the building distance are wide enough and each house has the southern garden. When one looks carefully at the local built environment, each house constructed by a major house maker has a different design, but the whole town was developed in a short period of time, therefore a homogeneous cityscape covers the area. 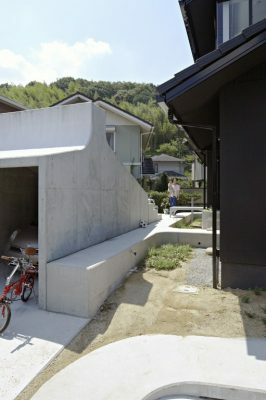 Additionally, these houses are built with LGS (lightgauge steel) components developed uniquely to lower their construction costs. 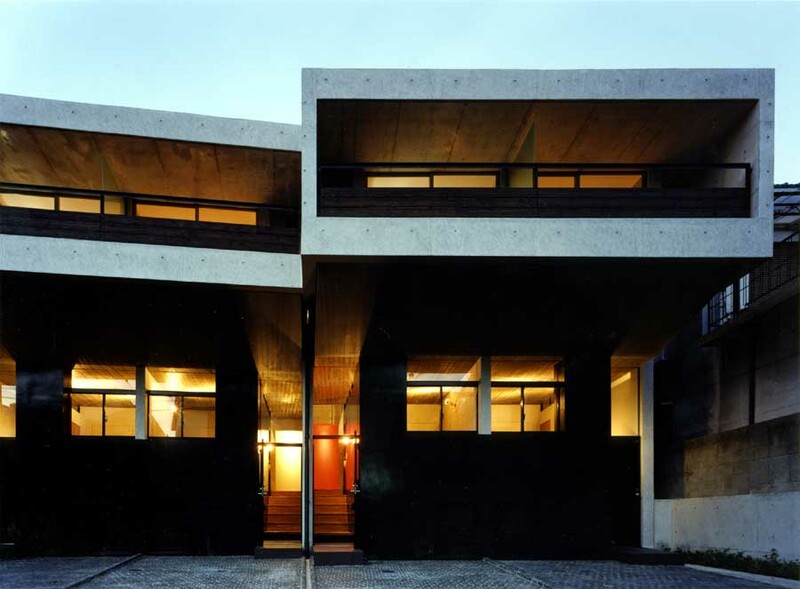 But this isolated methods includes the peculiar application for building confirmation, so it doesn’t have the flexibility to change its exterior volume and the position of columns. 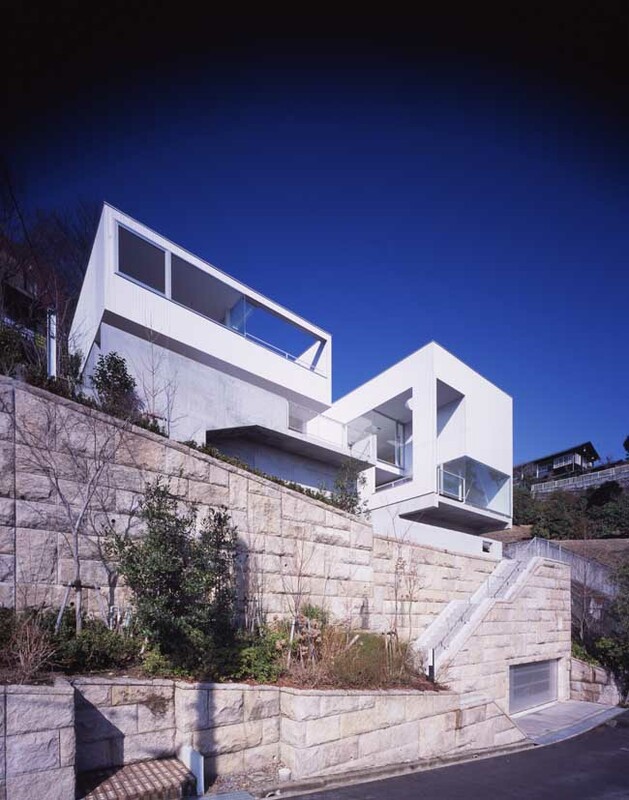 A young married couple selected one of these houses in this area, and required us the full-scale renovation including to change the exterior appearance of the house. More than half of the southern garden was used as a parking lot with an illegal carport, and the remaining of it fell into ruin at first. 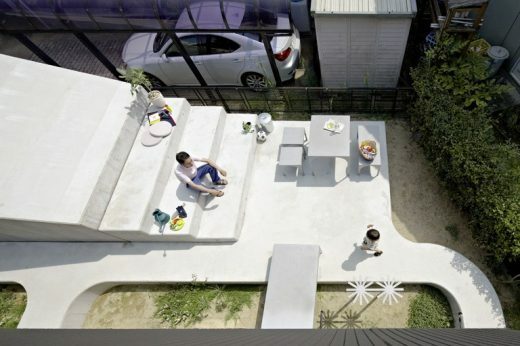 Then, the architects stacked the garden and the parking lot at the same planar position by laying a concrete plane which is the roughly same size as living space, and lifting up the part of it to use its downside as the parking lot. 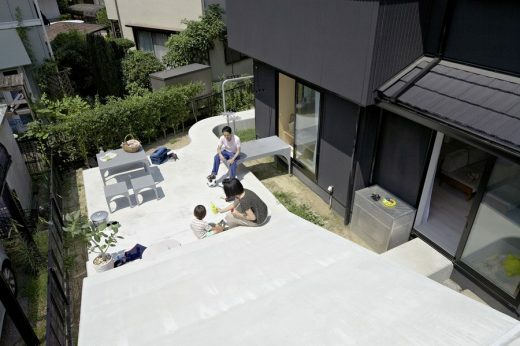 The terraced overlap part comes up to 2nd floor level, and makes vertical relationship with the existing house. 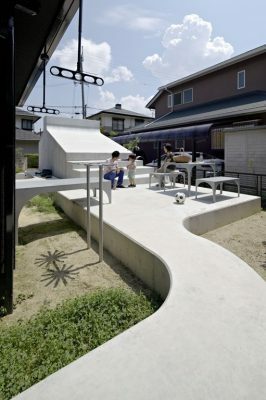 Additionally, this concrete plane is linked to kitchen and living through each independent passageway, steel outdoor furniture is put on, and used as outdoor living on sunny days. Some passageway is made along other adjacent sites. They form the communication with neighbors as well as the plane. 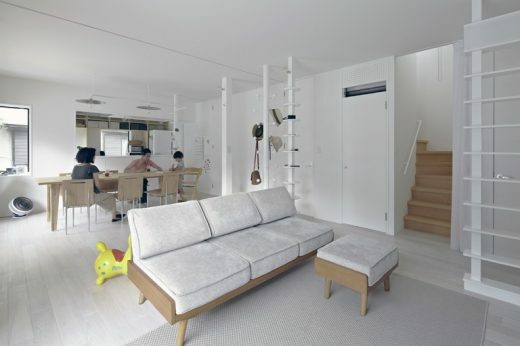 The first floor is composed of some small rooms was converted to a big ‘oneroom’. 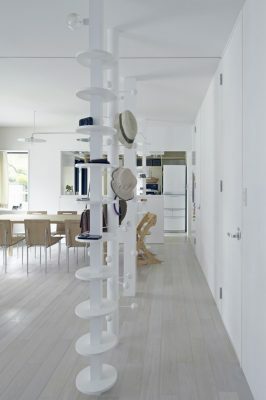 Some revealed LGS columns were ‘furniturized’ by attaching some functions (shelf, hanger, light, clock and measure). 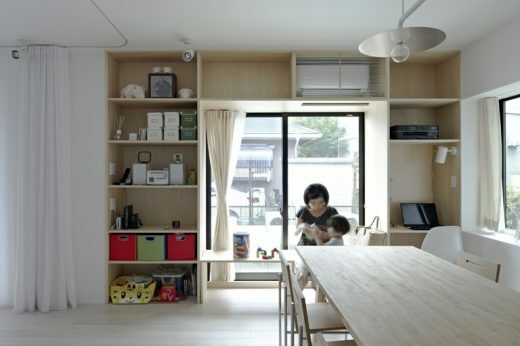 Some windows were also furniturized as benches and tables. 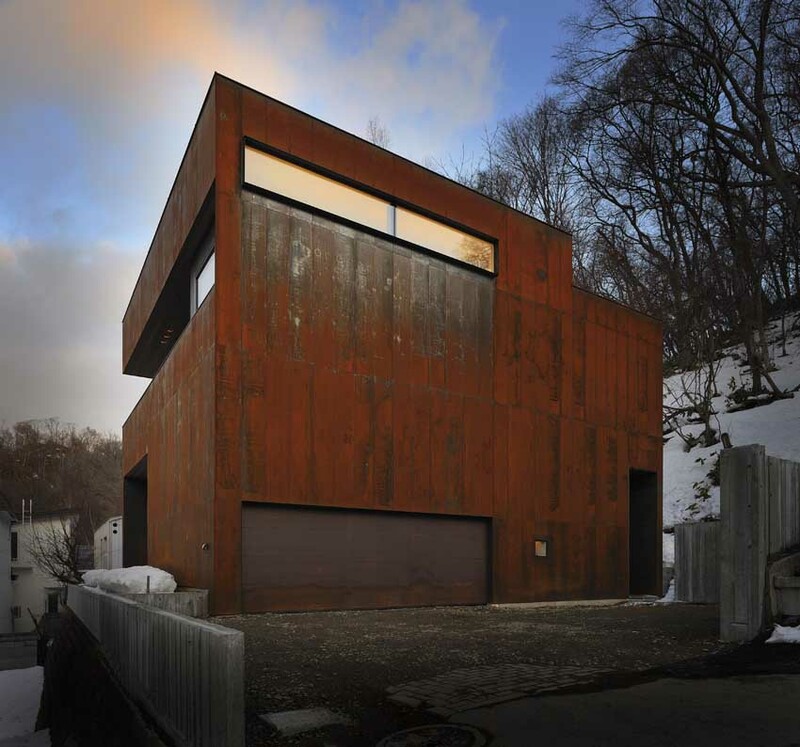 The appearance of the house is not only its exterior shape. Many exterior elements appearing to outside of the site (fence, entrance gate, storage, carport, post, plants and so on) and the whole of them are consistent in appearance. For instance, a high wall of high class residential area gives expression to the distrust of the residents who live there. These elements have many important messages to the city. 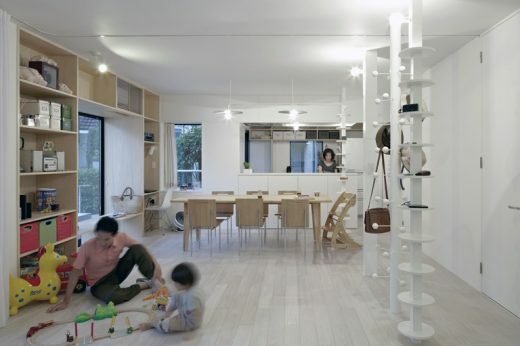 SPACESPACE attempted to change the appearance of the house and the interior movement by designing some small elements. The appearance of the house will express the intention of residents requiring the trust and communication to their neigbors.